Join the Superwoman Lifestyle Movement! Superwoman Lifestyle is a blog and movement of women working to achieve balance in their professional and personal lives–women from all walks of life who are striving to achieve success in their businesses and realize their professional and personal goals. This dynamic following of women celebrates the many hats women wear everyday and the grace with which they do it. Women succeed in business when they are at their peak physical and emotional health and maintain healthy, fulfilling relationships. 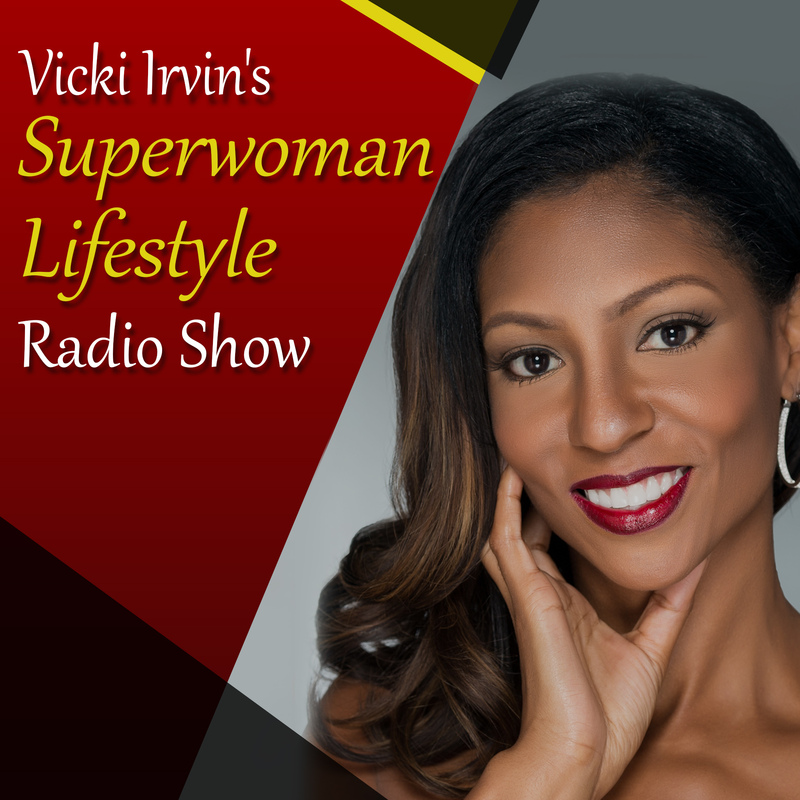 Recognizing this connection between success and one’s physical and emotional health, Superwoman Lifestyle founder Vicki Irvin created a movement for women to uplift and support each other in this endeavor while attending her live events, tele-seminars, trainings and coaching programs. At Superwoman Lifestyle we report on business, fashion, beauty, celebrity interviews and news, fitness and we also bring you episodes of Superwoman Lifestyle TV! Vicki firmly believes that woman business owners or entrepreneurs cannot truly attain success until she achieves some balance in various facets of her life. This married Mom knows all too well that we as women wear many different hats and remain in a constant struggle for synergy that leaves us fulfilled and content. Vicki knows that women want to be good providers and contributors to society while spending quality time with our children and families–and looking and feeling fabulous while doing it. Women consistently approach Vicki to learn how she manages several lucrative businesses, maintains her family and stays in awesome shape while juggling it all. Vicki is thrilled to share with other women her own blueprint for striking that balance between family and business through her women’s movement and the Superwoman Lifestyle. Superwoman Lifestyle shows women business owners and entrepreneurs how to start and grow their business income to six- and seven-figure levels utilizing effective on- and off-line marketing methods without burning themselves out or feeling guilty. Superwomen Lifestyle was created to show women all over the world how to create and grow a successful business while being the ultimate woman in every aspect of their lives. Superwoman Lifestyle subscribers receive Vicki’s free weekly “E-volve” Ezine that offers valuable marketing and business advice, health and fitness tips, and tips for effective time and family management. Thousands of women who subscribe to Vicki’s Ezine incorporate her advice into their own business and lives. We hope that you will too!